We bring forth for our clients premium quality Coconut Milk Powder. Coconut Milk Powder is one of the prime ingredients used in most Southeast Asian cooking. Coconut Milk Powder is prepared by soaking the grated flesh of a coconut in hot water or scaled milk. The advantage of Coconut Milk Powder is that it is coconut cream in powdered form. 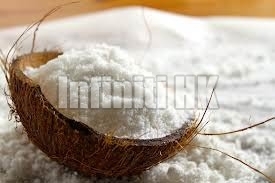 Thus, Coconut Milk Powder can be used in various dishes and enhance their flavors.